A faulty chimney can get you BURNED. Yes! It’s true. You may not rely on the fact, but if you search in the internet, you will receive ample information about devastating fires caused due to damaged and dirty chimneys that resulted in burning and killing people, animals and destroying the houses. You need to hire a genuine chimney sweep. Be cautious as the chimney sweep business is targeted by the con-stars and you can easily fall in their trap if you are not educated about the chimney sweeps, fireplaces, heating appliances, chimney sweep organizations, courses, working structure, etc. How do the frauds hit innocent consumers? The operations start with a phone call offering attractive discounts and low prices for chimney sweeping services. Once, you fix an appointment and ask them to come to your home, they will suggest repairs and reinstallation saying that these are an absolute necessity for recovering the present chimney condition. As you want to keep your home and family safe and hence, you pay heftily to these fake contractors. Even, they can steal and loot your property. Never take chances with your chimney and fireplace. Always select chimney sweep from a certified and accredited company. Look for a CSIA certification while choosing a sweep. The standard organization for the training throughout the country is the Chimney Sweep Institute of America. It relates to care, repair, and maintenance of all kinds of the fireplace, furnace systems, venting systems, stoves, and chimneys. Ask for the proof of CSIA certificate from the technician who arrives at your location for the task. Note: Several firms advertise that they are truly certified but in reality, only a few technicians have authentic CSIA certification. They wear the CSIA ID on their uniform whenever they set out to their profession. The National Chimney Sweep Guild or NCSG is another legal organization of promoting chimney sweeps. This organization provides ongoing education to keep the sweeps upgraded with the up-to-the-minute technologies related to the industry. Hence, chimney sweeps who are the members of NCGS can be relied upon. The reputed companies have their websites with detailed information such as qualifications, address, testimonials, experience, certification, awards, accreditation, etc. It is advised to do thorough research online. Never be shy of asking the chimney sweep company if it is insured against the damage that can happen in the house or to the workforce. You have to find out what is covered by their policies. If the technician doesn’t have any coverage and he get injured or cause any impairment to your house, you will be holding the liability. So, insurance is important. Whenever a chimney sweep arrives at your doorstep, look for the company’s ID. It must contain the person’s photo, name, and CSIA credentials. Authentic chimney sweeps go places by marked company’s truck and they are always in proper uniform. Never answer a contraction claiming that he or she is working in the entire neighborhood and so you must also consider him/her work in your premises. You never know who the person really is. The certified chimney sweeps sent by eminent companies comes wearing the company uniform. They greet the customers with courtesy, respect, and smile. The nature of the task ends up in a bit dirty uniform though as they deal with soot, creosote, dirt accumulated inside the chimney. But they should be professional enough to deliver the clients the highest standard of services. The Chimney sweep you have appointed must come on time and respect the deadline. If he or she can’t guarantee you a particular time, then you must fix another day and time or change the sweep. It bit of extension can be allowed though depending on the intensity of the task. Sweeps coming from a reputed agency alert the clients of their arrival beforehand and continue to upgrade the later if in case they are late for any unavoidable circumstances. The reliable chimney sweep agency can provide names and contact numbers of the customers living nearby your area. You can ask those customers and inquire if they are satisfied with the chimney sweeping job rendered by the respective company’s technician. 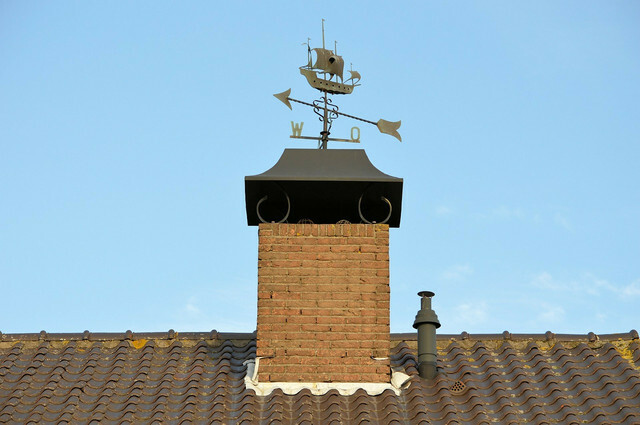 These are the ways you can follow while hiring a chimney sweep. Be present in your home when the appointed sweep arrives for the work.